In case you (too) missed it, a piece last week to The New Republic highlighted the often overlooked and actual reason for a Sunday show’s success: the executive producer. 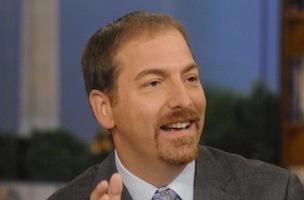 With Chuck Todd’s debut as moderator of NBC’s “Meet the Press,” he and the network are furiously working to regain the #1 rating among Sunday public affairs programming – competing against ABC’s “This Week with George Stephanopoulos” and CBS’s “Face the Nation” with Bob Schieffer – but a key component in that battle is the effectiveness of the show’s EP. Zengerle moves to John Reiss being named acting executive producer of “MTP,” replacing Rob Yarin, who served as a permanent EP during David Gregory’s final year as moderator, after Betsy Fischer Martin’s 11 year run in that role. For more, click on over to TNR.